This site was not investigated by the Thames Archaeological Survey. In April 2009, a mudlarker found a human skull on the foreshore, which was reported to the Museum of London. A sample from the skull was radiocarbon dated by English Heritage (to the early 18th century) and the rest of the child’s skeleton was excavated in early 2010. This child had been deliberately buried on the foreshore. 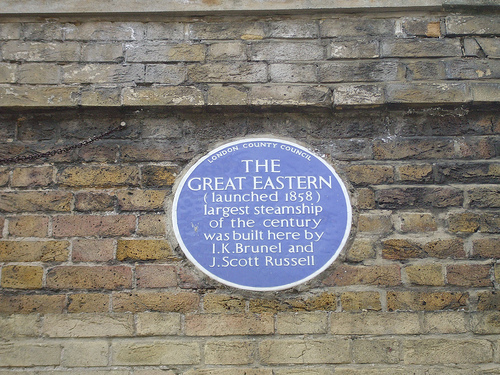 Burrell’s Wharf is also the site of the launch of Isambard Kingdom Brunel’s last project, the SS Great Eastern. 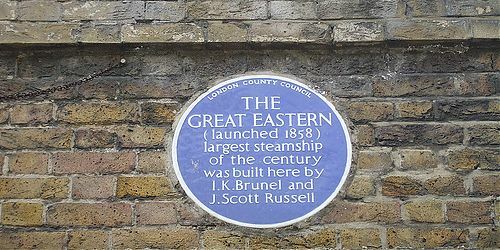 The TDP has recorded the remains of the launch slipways surviving on the foreshore, and is campaigning with the Brunel Museum for a memorial at the site. Check out the articles below to learn more about Burrell’s Wharf.